Strong, destructive storms can happen at any time, but the peak is during hurricane season. Atlantic hurricane season occurs every year from June through November, and September is statistically the height of the season. When hurricanes hit, a lot of the focus is on protecting homes from high winds and flooding, but it’s important to also think about your business, especially if you own a brick-and-mortar location. According to FEMA, 40% of businesses never reopen after a disaster. Of those that do, only 29% were still operating after two years. At Quincy Mutual Group, we understand the devastating effects that hurricanes can have, and we want to ensure that your business is prepared and protected through any storm. For National Preparedness Month, we put together this guide to help you prepare and protect your business against disasters. Work with your insurance agent and business partners to determine the potential risks for business interruptions. Is your office or store located in an area that is prone to flooding? Identify these risks based on your industry and location so you can properly prepare and protect your business. The best way to plan is to prepare. If you own a brick-and-mortar location or office, make sure your building is inspected by a professional and that maintenance is completed before hurricane season is in full swing. If a hurricane is forecasted to hit your area, ensure that all of the windows and openings in your building are covered. All windows and glass in doors should be protected in advance of a storm. How will you communicate business closures, changes in business hours, and re-openings to employees and customers? These are important questions to answer in order to create a crisis communication plan. Decide how you will alert employees and customers of business operation changes — via phone, email, or social media. Share these plans with your staff as soon as possible in advance of a hurricane and business closure so everyone knows how to communicate with one another and with customers during a natural disaster. In addition to a crisis communication plan, it’s important to have a business continuity plan in place. This plan details how your business will operate, even if your office location or storefront is closed. If you have a continuity plan in place already, take time to review it and update it as needed, including employee contact information. 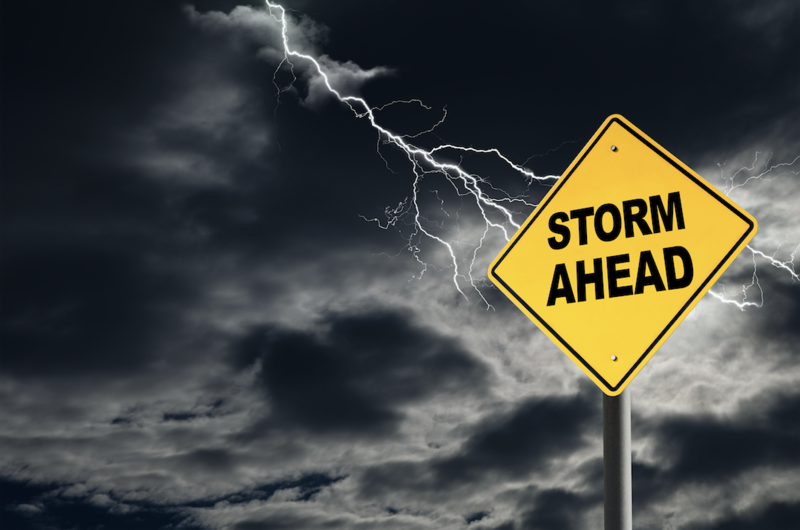 Don’t wait until it’s too late to prepare your business for hurricanes and other natural disasters.